If you are going to start up a new business, you must be thinking really hard on its various aspects like getting its logo designed, creating a vision and mission, documenting its business plan and a lot more. This really is a critical step and every detail should be drawn to the maximum possible level. The new business is always set up with some opportunities in mind. But beware that these opportunities can be achieved only when the new business has all the tools for success. Why have a website for a new business? Today’s’ world is getting more and more competitive and more and more technology intensive day by day. You’ll see that most of the business out there have a web presence. Every new customer will go to some search engine to eventually reach you. Customers feel it more convenient to get detailed information about an organization or its product on the web. Social media has connected billions of customers online. Email and live chat is the norm of the day. So, in simple words, get a website for a new business is as important as opening a bank account. How to get a website for small business? Getting a website for small business is pretty easy. There are hundreds of web designing companies in Pakistan that employ skilled and experienced web designers. You can consult with any and get free quotations for your review. The first step should be done by you. You can create simple document containing all information you want to put online on your website. This information should contain introduction about the organization, its products, services and contact information. Once you have composed this information document, you can discuss your website designing job more effectively with any website designing company in Pakistan. Next step will be choosing a domain name. You can go to any online domain registrar and search for a web address of your choice. You can also get help for the website designing company in choosing appropriate domain name. 1. 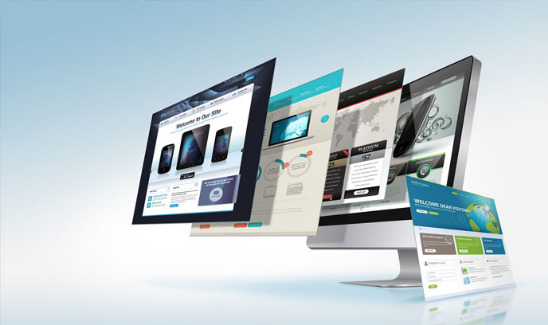 Having a website is a must for a small business.